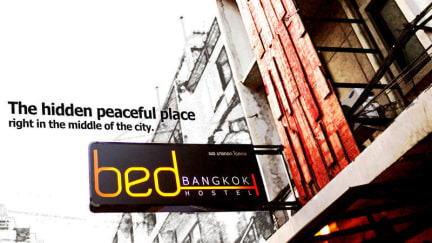 Bed Bangkok is all about accommodating youth and budget travelers who come from all around the world seeking great experiences in Bangkok. 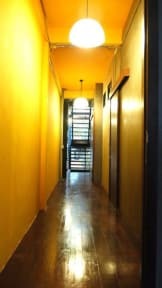 We provide private rooms as well as dormitories, all of which feature cleanliness, convenience and reasonable prices. If you are a traveler looking for a little more privacy, this reasonably-priced room might be just what you’re looking for. Whether you’re looking for something cozy with friends or romantic for a couple, this room is ideal for 2-3 people who want privacy and their own bathroom. It’s a great space to relax in after a busy day in Bangkok. Les chambres privative pour 2 sont uniquement avec des lits superposés (pas top en couple), et elles sont très petites. À deux pas du skytrain et donc très pratique pour accéder aux centre commerciaux et marché (pratunam et chatuchak). Les lits sont franchement dur. On vous fournit serviette et savon. Il y a des chats partout.